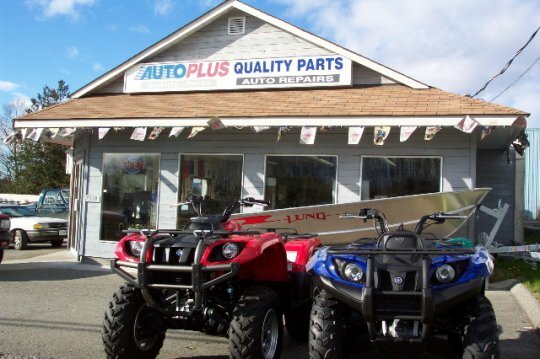 Up the Lake features a lot of specialized recreational equipment, and many of these products came from Quality Parts. You'll read about a variety of Yamaha outboard motors and quads in this book, and Dan Parsons of Quality Parts is the local Yamaha expert. He's one of the active leaders of the Powell River ATV Club, and he has greatly assisted the author in getting-started in boating and off-road riding.